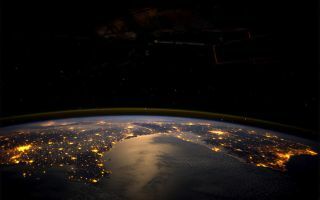 European lights seen by André Kuipers from space. In this space wallpaper, European lights seen by André Kuipers from space. Portugal is to the right of the image, and Paris is the glowing light on the left of the image.